Architecture is concerned with the design and construction of buildings in their sociological, technical and environmental contexts. There is increasing recognition of architecture as one of the top intellectual disciplines, an art form, and a technical profession intimately linked with the single largest sector of investment in the economy. Architects are called upon to design and execute building projects and resolve other issues related to the manmade environment in a variety of settings. 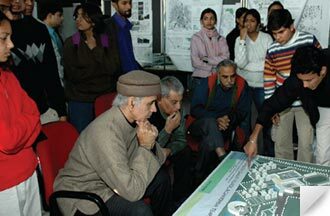 Bachelor of Architecture programme aims at attaining a high level of contextual excellence in architectural design. Both theory and studio exercises are viewed as the core of the programme with crucial inputs being provided by experts specializing in the fields of arts, humanities, engineering and technology, and professional practice of architecture. A strong foundation of multi-disciplinary enabling skills related to space, construction environments and aesthetics are offered to the students. Among others, these skills include drawing, architectural presentation, research and writing, computer applications, technical and managerial aptitudes in problem definition and solution seeking. Architecture Campus has an excellent collection of books and journals in its library containing over 30,000 books. The Department has a state of the art computer center. The curriculum is structured for five years and is divided into two stages. The first stage consists of three years of full time study followed by practical training in professional offices or at construction sites for 20 weeks. The second stage consists of full time study for one and a half year, whereby each student is required to write a research based dissertation, prepare for a seminar and present a design thesis along with the advanced level of compulsory and elective theory courses. The students gradually learn that architecture has always evolved under the influence of at least four, occasionally conflicting, forces that is history and culture, social aspirations, climate and evolving technologies. National and international level workshops, exhibitions and seminars are continually held in the Department, several of which are organized in partnership with international universities and research organizations. It is hoped that participating students get exposure to new ways of thinking and imagining. Through this five year programme we expect to impart broad based architectural education, which we believe, serves as a window to multiple career choices and job opportunities depending on personal interests of the students in the public, private, NGO and multinational corporate sectors. Students wishing to pursue further studies are eligible to apply for any of the masters and doctoral programmes being run by the School. Since the Bachelor of Architecture degree programme of SPA is recognized internationally, a number of our students are accepted for advanced studies in the finest universities abroad. This course is approved by the Indian Institute of Architects, the Council of Architecture, and the Commonwealth Association of Architecture. 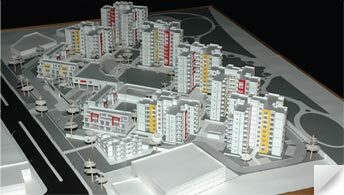 Department of Architecture has the Centre for Advanced Studies in Architecture, which is active primarily in the areas of energy studies, climate responsive architecture, and approaches to design and solar architecture. Due to critical research being conducted at the Centre for Advanced Studies in Architecture, a whole new approach to ecologically sound design is emerging. Most important of all the students directly benefit from these initiatives. The students of Bachelor of Architecture programme are exposed to a rich variety of design and planning expertise through full time faculty from several departments of studies in the SPA, and distinguished visiting faculty. Outstanding professionals serve on our design juries. Department of Architecture has excellent faculty, names along with their qualifications are given below.